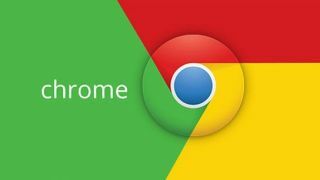 If you’ve decided that you want to get a Chrome VPN, congratulations – we’re with you and here to help you get the most out of your newly secure internet browsing experience. There are many reasons why using a Virtual Private Network, is increasingly popular these days. In an era of constant data leaks, government surveillance, and irritating advertising, who wouldn’t want to take back control of surfing the web? Here are four simple tips and tricks for getting the most out of a Chrome VPN. The first step to getting the most out of your VPN is choosing the right one in the first place. While they may seem tempting, free VPNs often aren’t the best option for many users – especially those getting started with this whole Virtual Private Network malarkey. Why? They tend to make a number of compromises that you might find frustrating. The main issue is usually slow and unreliable connection speeds, but they’re also typically more difficult to install and can even sell on your personal data to help fund their operation. That’s why we recommend stumping up a small amount for a proper paid VPN. We have a number of recommendations in our guide to the best VPN, but to save you some time, our current pick is ExpressVPN. It offers a robust encrypted connection, backed by proper infrastructure and customer support, and is a breeze to install. Read our full ExpressVPN review to find out why we like it so much; then check out our guide to enabling a VPN in Chrome to find out just how easy it is. If you’ve decided to go with a paid VPN, you can save money by paying for an annual subscription in all likelihood. For instance, in the case of our recommended Virtual Private Network for Google Chrome, ExpressVPN, you can currently get it for just $6.67 a month when signing up for a year. This includes a free 3-month trial, meaning you can opt-out within the first 90-days if you decide it’s not for you. That’s a proper bargain in our eyee, so make the most of this deal while it lasts if you want to enjoy a premium VPN experience on the cheap. Many people we speak to ask us a simple question: do VPN extensions for Chrome work? The answer is a resounding ‘yes’, but know that simply surfing the web using a Chrome VPN plug-in won’t secure your entire network connection. It makes activating your VPN a walk in the park, but it won’t lock down all of your network activity – just what you do in Google’s Chrome browser. This is an important caveat you should be aware of. To encrypt all of your network activity using a VPN, you’ll need to download the core VPN app to your OS and not just the Chrome extension – a reliable VPN like ExpressVPN makes this easy and flags the importance of using the full VPN app early on in the installation process. It might seem superfluous, given that Chrome is the world’s most popular web browser and many people’s only point of contact with the internet, but logging on to your VPN using the OS-level app means that things like Skype and Microsoft’s Office 365 productivity suite will also be secured by the VPN – a big bonus for the truly privacy-conscious. OK, so you’ve set up your VPN and are good to go. But VPNs don’t just offer anonymous internet browsing. As well as doing things like allowing you to easily change your Chrome IP address and surf the web without fear of spooks, VPNs also let you do cool stuff like access region-specific content – the obvious example being getting Netflix US in the UK, but there are plenty more. You might also find that using a VPN allows you to find better deals online. A lot of popular websites, especially in the travel industry, track your activity and will try to flog you more expensive flights, hotels, and car rentals once they’ve twigged that you’re interested. Using a VPN stops this from happening, as third-parties won’t be tracking your browsing. Those mythical £5 RyanAir flights you keep hearing about? Bagging one for your next holiday could be as simple as using a VPN!